The world has become a village, and New York is as close to Sydney as any other city in the world. I am speaking in digital terms of course. 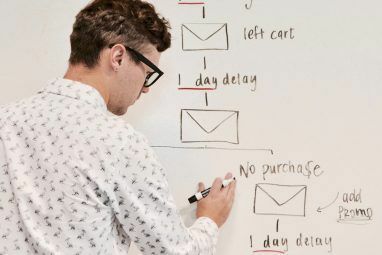 Thanks to the digital super highway, we need to just pick up the phone and dial our cousin or co-worker in the other corner of the world, or at least send him an email. But here, we may not be separated by immediate time, but we are yet to leapfrog the divide of time-zones. Knowing what time it is in the opposite corner of the world is not just a part of etiquette, but also of efficiency. Trans-national teams recognize this, and so do I as a blogger. Co-coordinating work across time-zones is as confusing sometimes as Einstein’s Theory of Relativity. A little Firefox (also for Thunderbird and Chrome) browser add-on solves the former. For the latter, you have to get a degree in theoretical physics. FoxClocks is a Firefox add-on that resides as a single icon or as multiple clocks on your browser’s status bar. It allows you to set multiple clocks for virtually all time-zones around the world. It automatically updates itself, so you can be assured that you are getting the right time for the places you have set it up for. 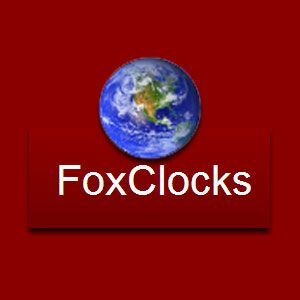 FoxClocks installs as any other Firefox add-on. Behind its rather simple looking interface lies a few customization tweaks that make it a good time keeper. I usually choose to keep FoxClocks as a single icon in one corner of my browser status bar. It saves space and I just need to hover my mouse over it to get the time in different cities around the world. You can choose to display it as a series of clocks on your status bar. This option allows you to take advantage of a few customization options as we shall discover. Clicking on the icon or the clocks opens up the main FoxClocks window where you can pick up the locations for time information. Drill down by countries and cities in the Zone Picker and choose your specific city or time-zone. You can also use the Search Bar. The Zone Picker also shows each time zone’s current offset from GMT (Greenwich Mean Time). The locations /time-zones you select go into the Watch List on the right. You can move them up and down the list to rearrange. FoxClocks keeps the same order in the status bar. You can open the Location Properties of each from the Edit menu or by double-clicking on the time-zone on the watch list. The Time Zone tab gives you the latitude and longitude information along with a field box to edit the location’s name. Note that GMT offsets and daylight savings time are mentioned here. You can enter precise co-ordinates and name the location. For instance, I can rename U.S. Pacific as San Francisco. The Display tab is where you can customize the appearance of the clocks by changing the text format and clock color. 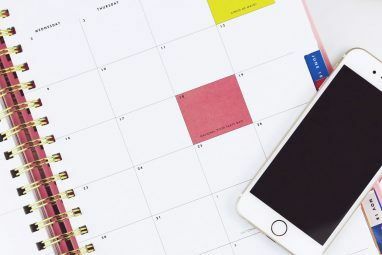 You can enable alternate colors for different time ranges – for instance, a dull color for inactive night periods, and a vibrant color for the day times. Remember, each clock can be styled individually. A Google Earth button to take you to the location is given as a shortcut trigger if you have Google Earth installed. You can get into Options from the Tools menu or by right-clicking on the status bar clock and selecting Options. The four tabs in the Options allow you more control over the display of the clock. Time Format: Customize time formats. Also, quite a few standard time formats are available under the dropdown. Position and Style: Set the display as an icon with a tooltip or as multiple clocks. You can keep the clocks in the status bar or in a separate toolbar. I prefer it as an icon in the status bar. Time Zone Data: Come here to correct any inconsistencies with the time and sync it by clicking on Check now. Updates are automatic. Advanced: Includes a few more controls for FoxClocks. It is pretty much self-explanatory. FoxClocks is not a cosmetic clock with large dials and neon-glows. It is a functional clock with a few permissible tweaks here and there that helps me set it up just as I want. I can conserve a lot of browser real estate with FoxClocks while retaining instant accessibility to time zones around the world. FoxClocks for Firefox remains a free add-on while the Chrome extension has (strangely) gone paid. I can say that I am missing it in Chrome because FoxClocks is most definitely among the better time-zone clocks out there. Keep time with FoxClocks and tells us your first (or second or third) impressions about this very useful Firefox add-on. 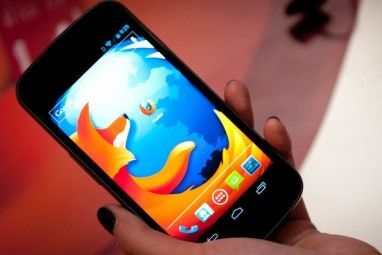 Explore more about: Mozilla Firefox, Time Management. Nice, anyone have anything like this for android? I use TM World Clock myself and it's pretty good. thanks. I was looking for one. thanks for the heads up! comes in handy! Which Browser Is Most Secure on Your Old Windows XP System?